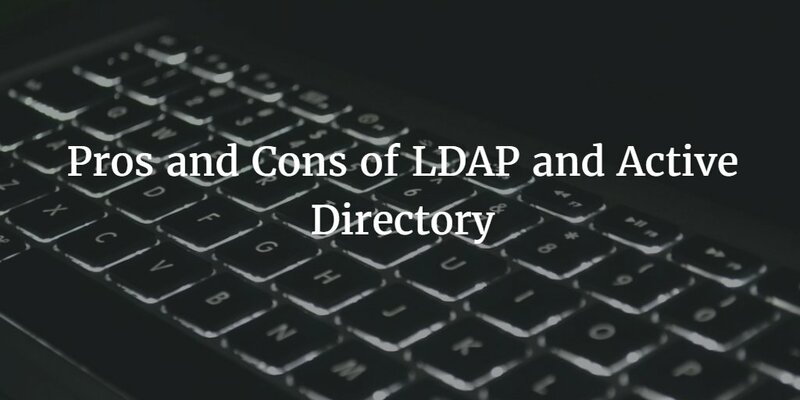 It’s a common belief shared by IT admins that there are only two options when selecting a directory service provider: LDAP or Microsoft Active Directory. But the decision is not actually that black and white. It’s not so much Active Directory or LDAP, rather how you can integrate the best of both LDAP and AD. first hash out the pros and cons of LDAP and AD. devices and applications. If you are strictly using Microsoft resources and devices, then Active Directory is a great fit, thanks to tight integration with Exchange and the Domain Controller. When looking at LDAP, the pros can be seen in that it is a standard open source protocol with highly flexible architecture. LDAP handles Linux and Unix far better than AD, and technical apps are often sourced directly into the system. At first glance, a major flaw with both LDAP and Active Directory is that both systems are outdated and time consuming to work with. Active Directory is notoriously hard to integrate into the cloud. In addition, the lack of support for Mac and Linux platforms can be extremely burdensome. As for LDAP, its flexibility can lead to some serious time consuming configurations of server side schema and device/application authentication to servers. As you can see, due to these cons there is a serious need for innovation within the directory realm. Why would you want to implement either system, when you could integrate their pros into an entirely separate entity? struggling with outdated systems. When it all boils down, there are just too many differences when it comes to AD and LDAP. This is where Directory-as-a-Service™, or DaaS, solutions enter to save the day. With DaaS, IT admins can take the pros of both Active Directory and LDAP and combine them into a singular solution. 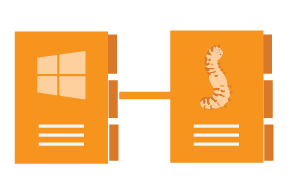 The end result is a solution that allows users to be connected to a diverse collection of IT resources, including: Windows, Mac, and Linux devices, as well as applications located both on-premises and in the cloud. If this was not enough, DaaS also incorporates various authentication protocols such as LDAP, SAML, and others to provide complete authentication, authorization, and management. If you are interested in learning more about DaaS, drop us a note or check out our comprehensive comparison of the strengths and weaknesses of AD, LDAP, or JumpCloud. If you are more of a hands on learner, give our free account a try and connect 10 users free forever.